Succeeding in today’s world of digital technology can mean having to come up with new initiatives and implementing them into your business model. Caesars Entertainment , however, is creating new relationships with existing technology-savvy firms to shape its own ecommerce strategy. When Bill Harrah opened his bingo parlor in 1937, he could have hardly envisioned the legacy he was starting. The company quickly expanded, opening many new locations, and in 1973, Harrah’s became the first casino company to be listed on the New York Stock Exchange. After Harrah’s death in 1978, the company changed hands several times and went through many rebrands. However, the most significant expansion came in 2005 when Harrah’s purchased Caesars Entertainment , beginning a series of deals which ended with the company owning a good portion of the Las Vegas Strip . Today, Caesars Entertainment is one of the most recognized brands in the casino business. The company employs over 30,000 people, and enjoys revenues of $4,555 million, placing it at #541 on the Fortune 500 . Like many leisure and tourism companies, Caesars Entertainment has its own rewards program – Total Rewards – where customers can accrue points and then redeem them against further experiences. However, Caesars Entertainment has teamed up with two other top rewards providers in the leisure and tourism industry to expand the reward acquiring and redeeming options for its loyal customers. Starwood Preferred Guest and Wyndham Rewards are both very popular rewards schemes for their respective hotel brands. In partnering with these two top providers, Caesers Entertainment adds its portfolio of brands to those which can be enjoyed by members of those schemes – and vice versa. Under the Starwood Preferred Guest partnership, Starwood Preferred Guest Platinum members become eligible for VIP access status at Caesars. Plus, Starwood Preferred Guest members can have reciprocal points-earning and redemption opportunities at Caesars Entertainment properties in Nevada, New Jersey, and Louisiana, while Total Rewards members earn additional points for Starwood hotel stays. 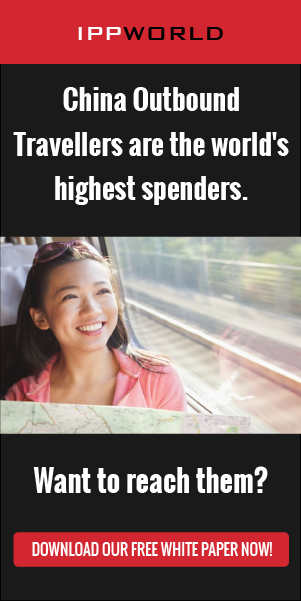 With the Wyndham Rewards partnership, Platinum and Diamond members of both schemes are entitled to synchronize with the corresponding level of the partner rewards program – Platinum to Platinum, Diamond to Diamond, etc. 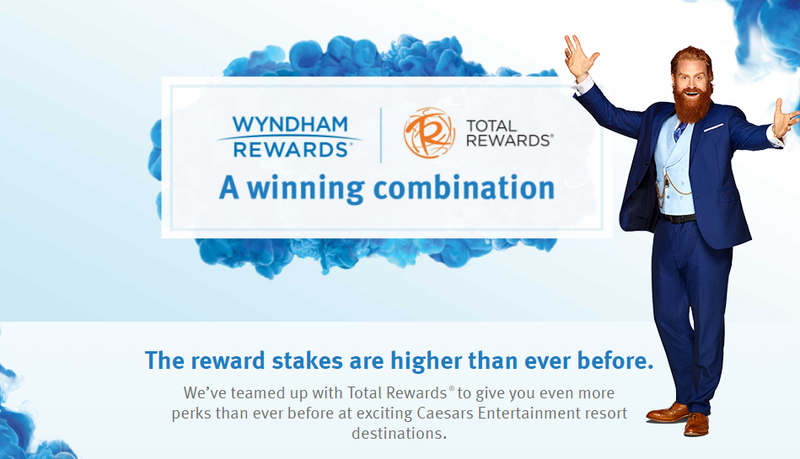 (Total Rewards Seven Stars equates to Wyndham Rewards Diamond level status). Another way Caesars Entertainment is looking to improve the digital technology experience for its guests is by becoming one of the first companies in the US to offer the ability to pay using popular Chinese eWallet service WeChat Pay – which has more than 600 million users worldwide. 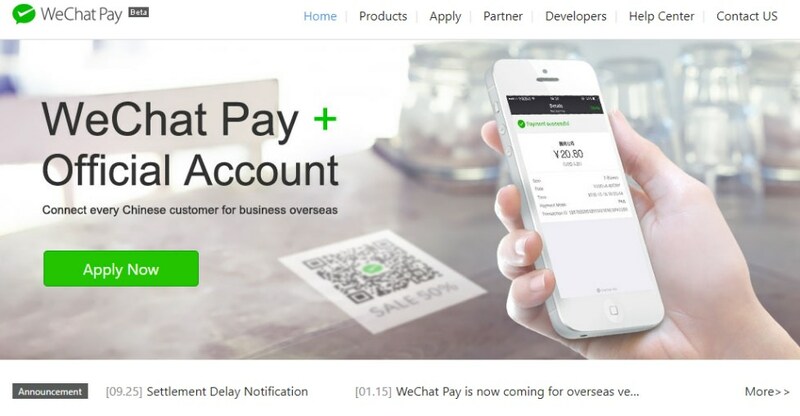 With WeChat Pay, registered customers simply need to scan a personal QR code each time they wish to make a purchase and transactions are automatically registered in US dollars. Handheld scanners for the service are available in 16 Caesars Entertainment locations, and can be used to for anything from settling the bill after a meal to purchasing tickets for one of Las Vegas’ famous stage shows. Digital technology has much to offer the casino industry and Caesars Entertainment is being proactive in making intelligent partnerships in that sector. With greatly expended rewards and payment options there are plenty of reasons for Caesars Entertainment customers to keep coming back. The final word goes to Caesars Entertainment’s Director of International Marketing, Claire Yang, speaking from Beijing on the WeChat Pay partnership. You can hear Caesars Entertainment’s Senior Vice President and Chief Experience Officer, Michael Marino, speak at Digital Travel 2019 in April/May at the Green Valley Ranch Resort & Spa, Nevada.